The sun offers planet Earth infinite (well, technically 5 billion years) of abundant, free power. Enough sunlight reaches the Earth’s surface every hour to supply the entire world’s energy needs for a year. Solar panels convert this ever-abundant sunlight into electricity that we can use to power our lives. It’s simple, tried-and-true technology, and increasingly affordable for individuals, businesses, and communities to choose to solar. Switching to solar is a significant step in lowering our carbon footprints, since solar energy systems emit zero carbon emissions while generating power and they reduce our dependence on fossil fuels. In fact, making electricity with solar panels is 95% less carbon polluting than with fossil fuels! It's definitely time to dump fossil fuels. Coal, oil, and natural gas are called fossil fuels because they were formed over millions of years by the fossilized remains of prehistoric plants and animals. They’re a limited resource that’s running out and the process of converting them into useable electricity has all sorts of damaging and contentious side effects. To start, these dwindling and harder to reach fossil fuels must be extracted from the ground using destructive and polluting processes, often releasing massive amounts of greenhouse gasses in the process. Next, they must be transported via truck, pipeline, ship, and rail, which poses inherent risk of spills and leaks, and again, produces green greenhouse gas emissions in the process. Then, to produce power they must be burned, emitting even more greenhouse gasses and other pollutants to the air, water, and soil. Left over is hazardous waste, like coal ash and oil sludge, full of dangerous metals and toxins, which must be contained and stored forevermore. A terrible irony throughout this process is that fossil fuels are used every step of the way — it takes fossil fuels to use fossil fuels. The result? The environmental and human toll of fossil fuel dependence is steep. And unsurprisingly, the fossil fuel energy market is politically rife and volatile. All around, not much to love there. Solar, on the other hand, is a breath of fresh air. Solar panels are made from silicon, the second most abundant element on the planet, and aluminum, the most easily recycled material. In fact, solar panels are entirely recyclable. Over a solar panel’s lifetime it will produce many times more energy than was required for its production. Let’s talk real, easy numbers to compare solar vs. fossil fuels: A moderate sized residential solar system averages around 25 solar panels. A system like this, using standard 320 watt panels, in a setting with ideal solar resource, is expected to produce nearly 9,000 kWh of electricity a year, for at least 25 years. So, in the case of this average household, they have the choice between 25 years of power that generates hundreds of tons of greenhouses gases, polluting the atmosphere and environment, or power that is equivalent to planting a huge forest. We think the choice is clear. And solar is affordable. Really. 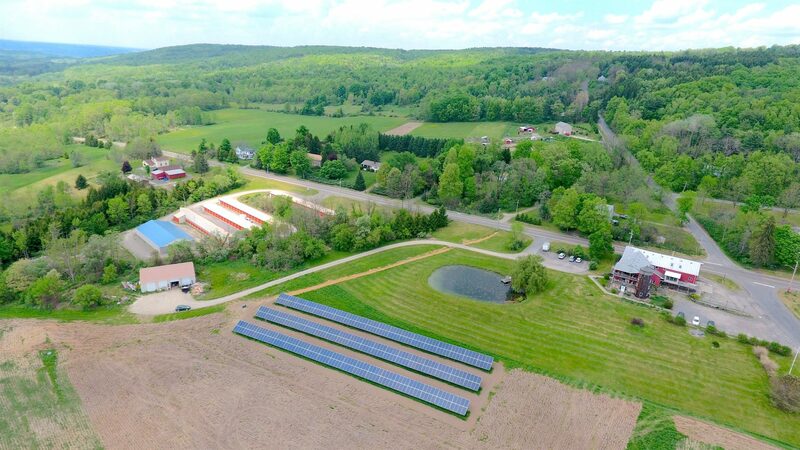 Renovus Solar in Ithaca wants you to know that solar costs less than what you’ll pay the utility company otherwise, and it’s clean, local power you own. We’re fortunate in New York State to have great rebates from NYSERDA and both State and Federal tax incentives that reduce the price of a solar system by nearly two-thirds.